What Kind of Nursing Degrees Can You Get Online? FNUTipsWhat Kind of Nursing Degrees Can You Get Online? If you’re aspiring to be a nurse, there are hundreds of nursing schools offering online programs that you can earn in two years. However, if you’re aspiring to be an exceptional nurse, then that means learning as much as you can about the nursing industry and the healthcare sector as a whole. And frankly, you’re not going to be able to cover all of that with an associate’s degree. The Associate Degree in Nursing will give you a head start toward an exemplary nursing career; there are several ways that you’ll be able to master the nursing profession. When looking for a Nursing School, it is important that you try to choose accredited institutions. If you choose a school that’s not accredited, you may not be getting the quality education you think you’re paying for. And when it comes to pursuing a career in the healthcare industry as a nurse, it really matters. Think about it, every time you walk into your doctor’s office, go to an urgent care facility, or even the emergency room at a hospital, after admission, you usually see the nurse first. You trust that the nurse knows what he or she is doing, that he or she has been professionally trained and have hours of experience on hand. You want to be confident that you’re in capable hands at all times. Wouldn’t you prefer that your nurse has the best education possible? How Do You Acquire Good Education and Experience? Many healthcare facilities will only hire the best candidates for a nursing position. One of the best ways to determine this is by his or her education. As an aspiring nurse, you owe it to yourself, the profession, and your future patients to get the best education possible. That means getting your bachelor’s degree in nursing, and then going on to pursue the master’s program in nursing as well if you can. Now what some Bachelor of Nursing (BSN) students do after earning their degree and getting certified is go right to work! There’s certainly nothing wrong with that. Having a bachelor’s degree in nursing is going to give you much more knowledge and experience than an associate’s degree will. But we encourage you to not stop there! The common obstacle that most BSN graduates typically face is that once they start working as a nurse, there’s rarely any time for anything else. This is because working as a nurse requires long hours that sometimes turn into double and maybe even a triple shift. The healthcare profession doesn’t sleep, and sometimes as a healthcare professional, neither will you. However, if you’re currently working as a nurse and are determined to earn a master’s degree in nursing, then you might want to consider Florida National University’s (FNU) Master’s Degree in Nursing (MSN) online program. With the online option, you have the flexibility as a professional to manage classes around your busy schedule. With a laptop, the classroom is where you want it to be. You won’t have to worry about darting through traffic and possibly being late for class. FNU’s MSN degree program consists of 36 credit hours. All students must have an active registered nursing license and completed all of the general education requirements for the BSN program with a passing grade of a “C” or higher. This MSN program cost approximately $23,955 to complete with books and supplies costing $1,200. This degree program is designed to be completed in a 24-month period. Nurse Educator – This concentration will focus on teaching graduate students how to instruct undergraduate students about the nursing profession. Courses like Introduction to Educational Concepts and Instructional Technology are part of the 18-credit concentration requirement. 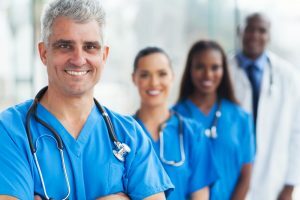 Nurse Leadership and Management – This concentration is for students who are interested in pursuing the administrative part of the nursing/healthcare industry. Here, students will take courses like Health Care Informatics, Financial Management and Resource Development, and more. What Else Does FNU Offer? FNU also offers an RN to MSN master’s degree specifically designed for professional nurses who have already earned their associate’s degree in nursing. This degree program is composed to educate students in a wide range of educational experiences. Graduate students in this program will need to take a total of 55 credits to earn this degree as the core course includes upper level courses that weren’t offered in the associate’s program. The RN to MSN students will get a more solid foundation about the fundamentals of nursing before taking graduate level courses. This way, the student will be able to have a better understanding of the concentration courses. The biggest bonus about FNU’s MSN and RN to MSN degree program is that it is offered at an accredited university. 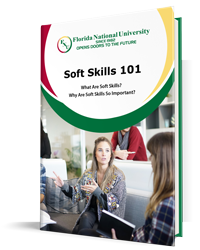 So not only do you have the opportunity to earn your master’s degree online, you can rest easy knowing that you’re getting a degree from an accredited institution that has been vetted by other accredited schools in the South Florida area. At FNU, you’ll be able to earn your master’s degree in nursing online in no time. Contact our admissions department today to start the enrollment process now!